As the final weeks of Hockey East’s regular season begin, the Terriers start a home-and-home series against Connecticut with four important points on the line. Tonight’s game in Hartford’s XL Center commences at 7 p.m. A pay-per-view live stream is available (link below). 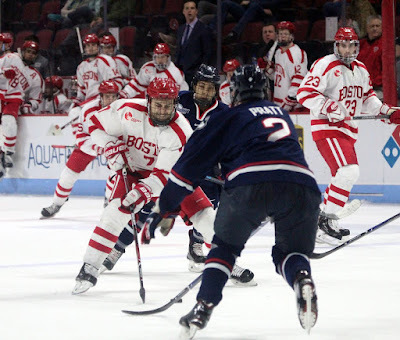 In the only previous meeting this season, BU edged the Huskies, 3-2, in the opening round of the Friendship Four in Belfast. Similarly, both Terrier wins over UConn in last Spring’s Hockey East quarterfinals were by one-goal margins. The Huskies, coming off wins against Merrimack and Northeastern, are led on offense by Karl E-Mir with 25 points, freshman Jáchym Kondelík (24) and Alexander Payusov, who has 14 goals. Adam Huska and freshman Tomas Vornacka have split the goaltending duties. BU is expected to be without senior center Bobo Carpenter again this weekend. 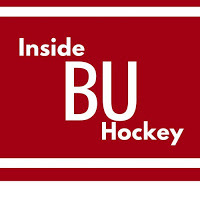 This week’s episode of Inside BU Hockey features Bernie Corbett’s interviews with Head Coach Albie O’Connell and freshman center Jack DeBoer, one of seven alumni of USA Hockey’s National Team Development Program on the current BU roster. 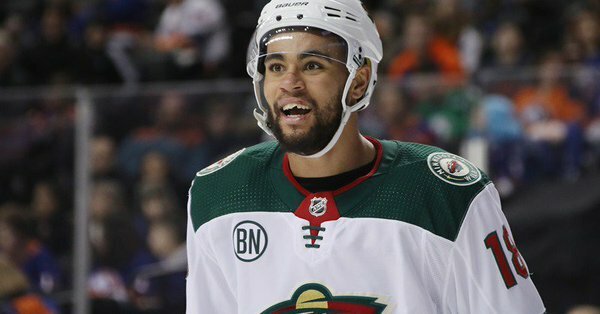 Matt Nieto assisted on a pair of goals and AJ Greer assisted on another in Colorado's 4-1 win against Winnipeg. Former Terrier Drew Melanson also will be hitting the ice at the Hartford XL Center. He’s been recalled from ECHL Maine to the AHL Wolfpack. Melanson is currently second in scoring for Maine with 27 points (10G, 17A).